Straightening teeth isn’t just for kids! Adults often make the most dedicated orthodontic patients, and it’s never too late to discuss the options for a bright, straight smile. If you’re not sure wires fit your tolerance level, don’t worry. Invisible methods can work extremely well for many cases, and Dr. Nam can help you explore the possibilities. Orthodontics involves teeth straightening and jaw alignment, combining beauty and function. Identifying problems early in development may allow easier treatment with better results, but it’s never too late to discuss ways to enhance a smile! 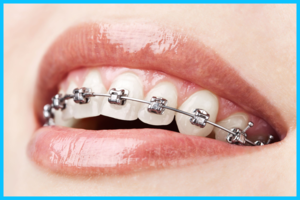 Metal braces have been used for a century and have been proved to one of the most efficient ways to move teeth. Depending on the complexity of your treatment metal braces may be the best way to most efficiently. We use low-profile brackets from 3M Unitek. You can add colors to the brackets and express yourself with monthly event, favorite colors or your enthusiasm on your sports team. Go Seahawks! 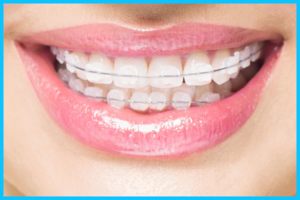 Ceramic braces are an alternative to metal braces and can be used alternative to the metal braces. They are more esthetic and less visible. If you prefer low-profile braces this may be the choice for you. 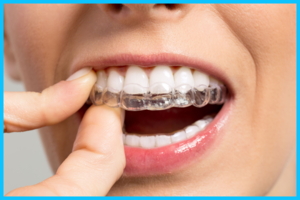 Invisalign is another orthodontic methods to move the teeth instead of using braces. We first scan the patients’ mouth and communicate/dictate to the Invisalign company how to move the teeth. Using 3D technology, they fabricate series of aligners that corporate the tooth movement we designed. The aligner trays—made of clear plastics—gradually moves teeth into the planned direction. This is a great option if you are looking for more invisible way to get braces! Wild braces is alternative braces when you are looking to have more fun. 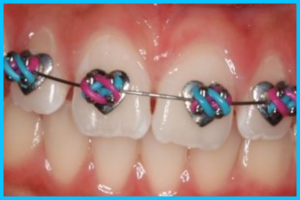 We offer Wild braces to early treatment patients who loves to express and have fun with shapes. We have Heart, Diamond. Clover shape—many shapes you want. Why don’t you be creative and mix and match the shape with colors.